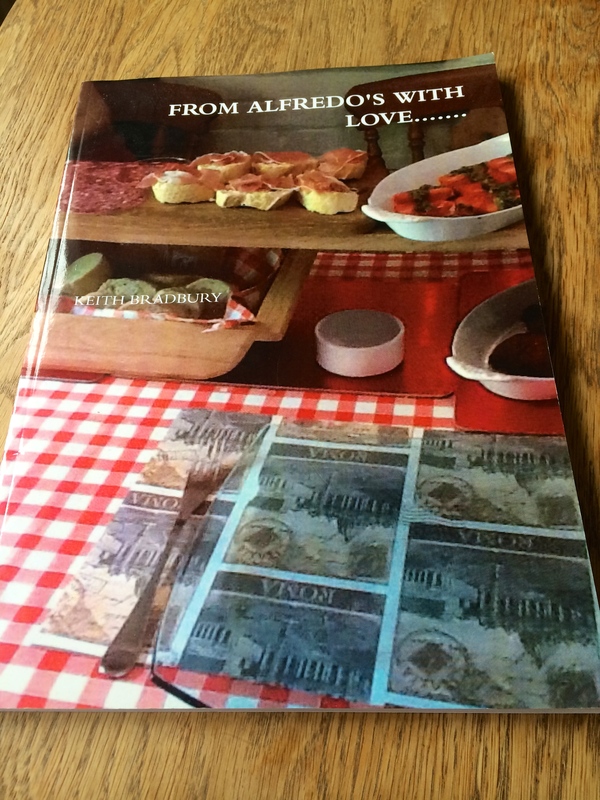 A real favourite of mine at anytime…and especially with a cup of coffee! 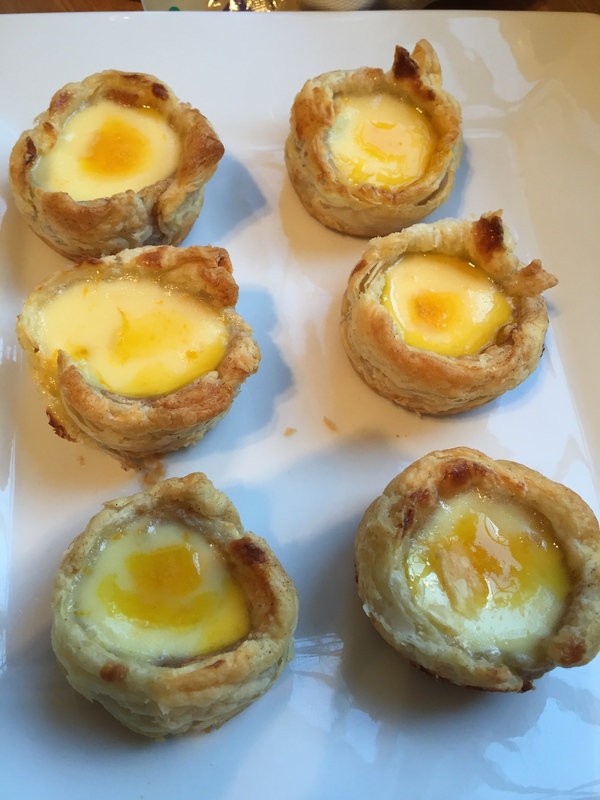 I was proud of these as I confess to being no baker…I leave that to my daughter, Hannah, who has the touch with pastry. I am more usually of a starter and mains man….but I eat these a lot when I visit my favourite coffee shop in Stockbridge, who make very gentile smaller versions. These are not as delicate but boy are they delicious! The recipe i pinched from Jamie Oliver and it was a fun recipe to follow. The ingredients make enough for 6 tarts. And they last up to two days in the fridge…though none of mine made it beyond day one! Preheat oven to 200c. Dust a clean surface or chopping board with some plain flour. Unroll the sheet of puff pastry – cut in half. You should end up with 2 2o x 20 cm squares of pastry. You only need one – pop the other away in the fridge for your next batch! Sprinkle over a dusting of cinnamon and then roll into a swiss roll shape. Cut into 6 rounds. Put these into 6 of the holes of a muffin tin and using your thumbs stretch out and mould the pastry into the holes so the bottom is flat and the pastry comes to the top.Put in the oven and cook for 8 minutes until lightly golden. Now spoon the crème fraîche into a small bowl. Add the egg, vanilla and 1 tbsp of the sugar plus the zest of the orange. Stir well. After 8 minutes take the tarts out of the oven and use the back of a spoon to press the puff pastry back to the sides and make room for the filling. Spoon in the filling equally into each one and pop back in the oven on the top shelf for another 8 minutes. Put a small pan on a high heat and add the juice of the orange and 4 tbsp of the sugar. Stir all the time until you get a nice sticky caramel. Take the tarts out of the oven after 8 minutes and pour a drizzle of the caramel over each one. Put aside to cool. These are sooooo tasty! Give them a go…I beg you! A PERFECT PUDDING FOR EASTER! This is an old recipe from the inimitable Gordon Ramsay. I made it for the first time yesterday and loved every mouthful. A great summer dessert and a great Easter sweet treat! You do not necessarily need the syrup – but it adds another dimension if you are after one! The cake is reminiscent of a cheese cake but somehow moister and more interesting. Preheat oven to 180c. Fan 160c. 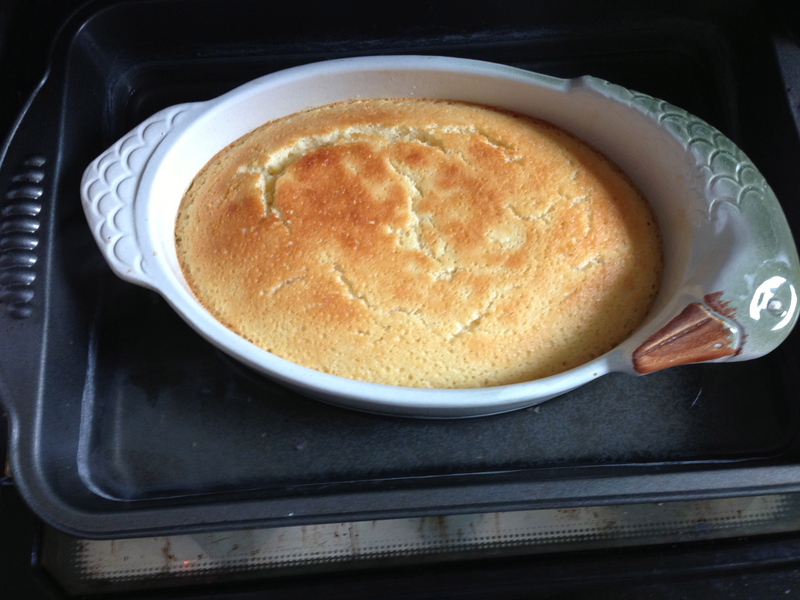 Butter base and sides of cake tin – it needs to be one with a removable base. Line the bottom with grease proof paper. Beat the egg yolks and sugar together with an electric whisk til pale and creamy. Sift the flour into this folding gently with a wooden spoon. Add the yoghurt, lemon zest and juice. Stir in. In a second bowl, whisk the egg whites with the pinch of salt until you get firm peaks. Carefully fold this into the cake mixture with a large metal spoon. Pour the mixture into the cake tin. Bake in the oven for 50-60 minutes. It will be golden brown on top and you should be able to pop a skewer into the centre and it should come out clean _ bingo – it’s ready! Leave to cool completely in the tin – it will sink a little but this is as it should be! For the syrup – put all the ingredients into a pan and bring to the boil. Lower the heat to medium and simmer for 7-10 minutes until it has reduced by about a third. Leave to cool. Then pour into a serving jug. Turn the cake out onto a large enough board or plate. Serve slices and spoon over the syrup as folk wish. You can also serve with cream, crème fraîche or yoghurt. Bonnie Lalley has sent me this wonderful painting inspired by my lemon pudding recipe which follows. I haven’t made it for a while so now that the lemons in the market are looking so attractive, this will be on the menu again this week! 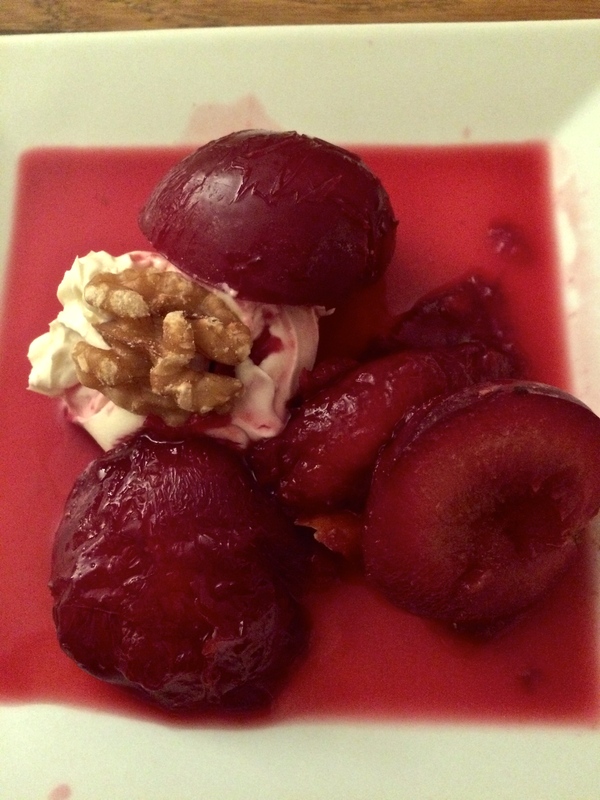 It is perhaps my favourite pudding recipe and shows off this fabulous fruit to perfection. Thank you, Bonnie, for reminding me! It is thought that the lemon originated in deepest Northern India and brought to the mediterranean lands by the roving Romans of the 1st century A.D. Oddly, the Romans had no word in Latin for this humble fruit. They apparently used it more as a decoration than an ingredient. The mighty Moors seem to have been largely responsible for the Med spread of the lemon. By the 4th century A.D. the lemon was well settled in such places as Sicily and Spain thanks to the Arabs. Arabic traders also took it to China. These guys worshipped this fruit – a writer called Ibn Jamiya wrote a tome called ‘The Treatise of the Lemon‘, and includes recipes for lemon syrup and preserves. By the late 1500s the Italians were in on the act big time and the use of lemon slices to garnish fish dishes was widespread. The lemon made its way to the New World – sounds so quaint that term nowadays! – via Mr. Columbus in 1493 who planted lots of lemon trees in Haiti. By the mid 1500s the Portuguese had taken the lemon to Brazil and in 1788 the first colonists to arrive in Australia were armed with stacks of lemon tree saplings! One of the historical ironies of the transpiration of lemons by ship around the world is that the sailors often contracted scurvy on their travels – not realising that the very cargo they carried was to eventually prove an effective cure for the disease. By the early 1800s the British Royal Navy got round finally to issuing its sailors with lemon juice which cut cases of scurvy to almost zero. The lemon is so beguiling as befits such a well travelled fruit. When I moved to New Zealand in the late 90s our first house had a stunning view from the garden – but what was even more captivating for me were the several lemon trees growing just yards from my back door. Oh for those trees now in damp Hampshire! Look, anyway, back to the recipe – this first appeared on this blog in March last year and I make no apologies for repeating it here now – especially as it is accompanied today by Bonnie’s mouth-watering painting. INGREDIENTS – 150 gm unsalted butter / 265 gm caster sugar /grated zest of 2 lemons / tsp vanilla essence / 6 eggs separated / 75 gm plain flour / 190 ml milk/ juice of 3 big lemons – / cream to serve. 75 gm = just under 3 oz. Turn the oven up to 180c. Grease a 3 litre ovenproof dish. Cream together butter, sugar lemon zest and vanilla. Then, beat in the egg yolks….. slowly. 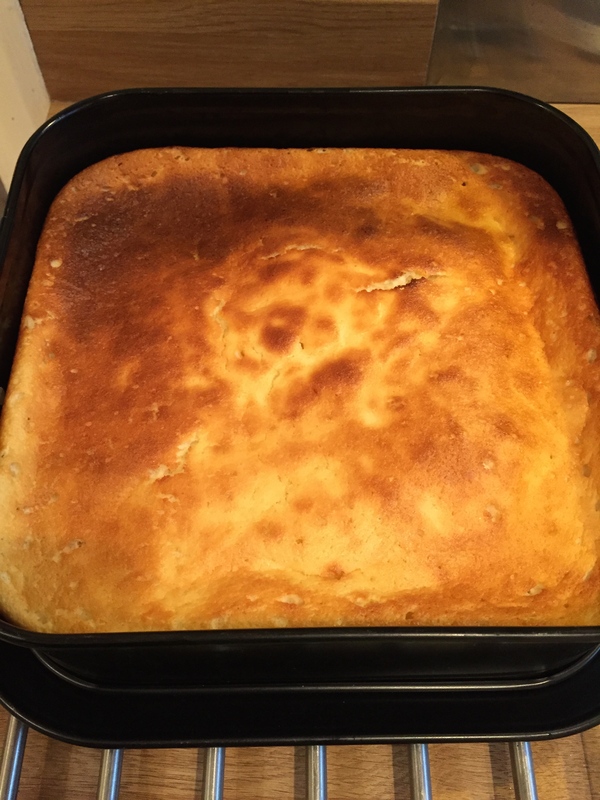 Fold in the flour…. then the milk…..then the lemon juice. Whisk the egg whites in a clean bowl until they form soft peaks. Gently fold this in too. Pour the mix into the greased dish. Place in a roasting tray. Add boiling water a third of a way up the roasting tray – in effect creating a bain marie…transfer..easy does it..to the oven. Bake for 30-35 minutes until golden brown on top. Leave it to cool. I love it cold but it is also wonderful warm. Serve with cream. I cannot tell you how good this is…………. just make it….! Oh it’s such a pearfect day….I’m glad I ate this with you! Supper last eve was rounded off with the simplest of dishes – glimmering green conference pears halved, seeds scooped out gently and then placed carefully, flesh side down, into a frying pan in which around 80 gm unsalted butter and 2 or 3 tablespoons of brown sugar were nicely melted and unctuous. popped a lid on the pan for ten minutes. 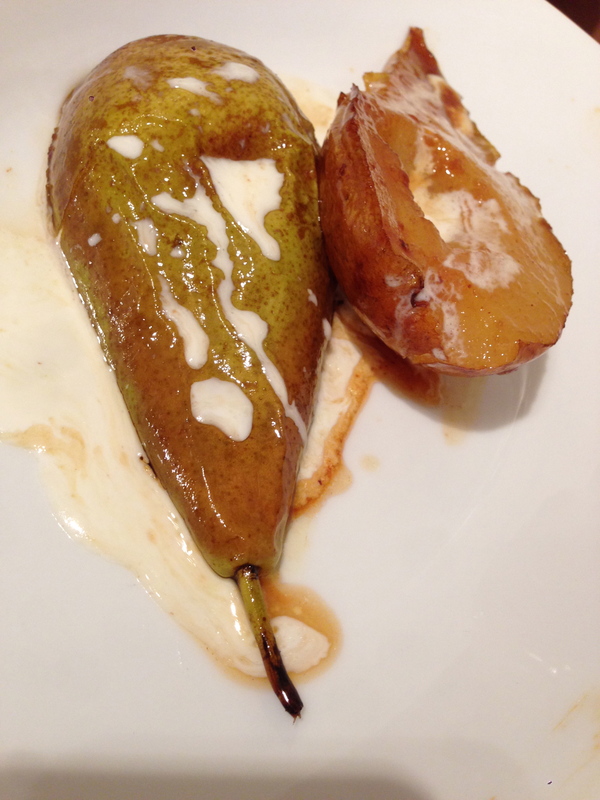 The result was the softest and most succulent of pears encrusted with a caramelised coating. On to a plate – a drizzle of cream, and more of the buttery sugary brandy mix spooned over. There can be fewer tastier simpler desserts. This was a rare voyage for me into the world of desserts – we had folk round last night for supper who I felt looked like they needed a pud. This is from a highly recommended tome called French Brasserie Cookbook by Daniel Galmiche – if you have not got it – buy it today. It is brilliant and simple to follow. 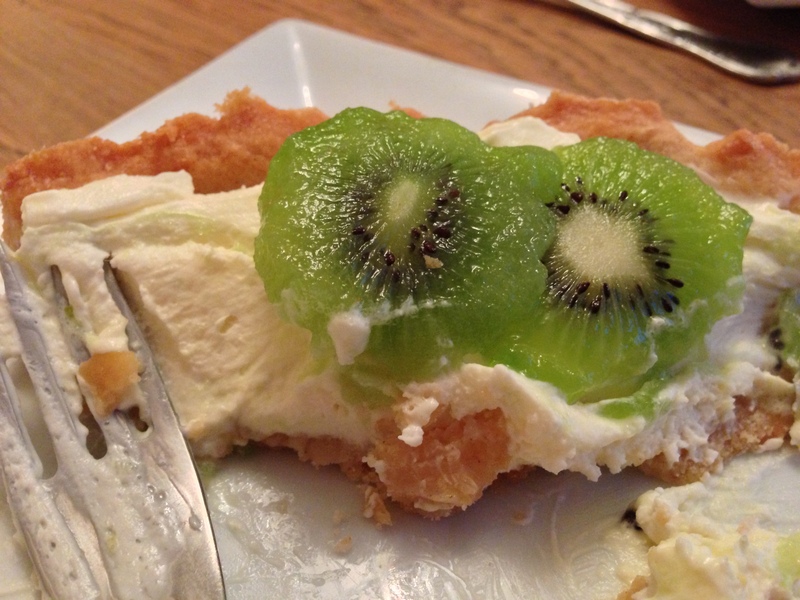 The resulting tart was fabulous – if not quite as artistically laid out as I would have wished! I used puff pastry ready made – cheating I know – but very good. 3 large apples, peeled, cored and cut into wedges – I used bakers from my tree but Mr Gamiche recommends Cox or Braeburn. Butter an oblong baking tray. Place pastry sheet on and pinch the edges. Sprinkle your choice of nuts over the base. Then arrange the apple pieces as regularly as possible, overlapping each other. Crack the egg into a jug, add the sugar and cream and whisk with a hand blender until nice and frothy. Pour gently all over the apples ensuring you get into every nook and cranny and that you bless each apple slice with the mixture. Bake in preheated oven for 25 minutes until just golden. Leave the tray to cool on a rack. No need for any extra cream. Perfect served just warm. This was one of the first recipes I blogged and i just wanted to bring it to your attention again – it is a cracker. INGREDIENTS – 150 gm unsalted butter / 265 caster sugar /grated zest of 2 lemons / tsp vanilla essence / 6 eggs separated / 75 gm plain flour / 190 ml milk/ juice of 3 big lemons – / cream to serve. So…whack the oven on 180c. Grease a 3 litre ovenproof dish. Cream together butter, sugar lemon zest and vanilla. Then, beat in the egg yolks slowly. Fold in the flour, then the milk, then the lemon juice. Whisk the egg whites in a clean bowl until they form soft peaks. Gently fold this in too. A simple, simple early summer (looks out at rain soaked garden wondering if I’ve been transported back to November overnight !) pud to cleanse the palate at the end of any supper. I simmered some home grown rhubarb with a little caster sugar until just cooked….I let it cool…then added a glug of Wild Strawberry liqueur (from The Wiltshire Liqueur Company – see link at the side bar) – covered the dish with cling film and popped it in the fridge for about a couple of hours to let the rhubarb soak up the spirit. I crumbled a ginger biscuit into each pot (I actually bashed it in a plastic bag with a rolling pin-very therapeutic actually!) added a beautiful blob of creme fraiche then topped with a spoonful of the rhubarb benevolence! The trinity of flavours was satisfying and sumptuous and light.